We will be open for wine tasting on September 23 and 24. We will be pouring a selection of wines from noon to 5 pm on both days. Wine tasting is $5 per person, waived with a purchase. Wine tasting is free for wine club members. Be sure to ask our winemakers, Neil and John, for a harvest update. We were all a bit worried about the 2017 harvest after such a wet winter. Happily, the grapes seem to have weathered the weather just fine! 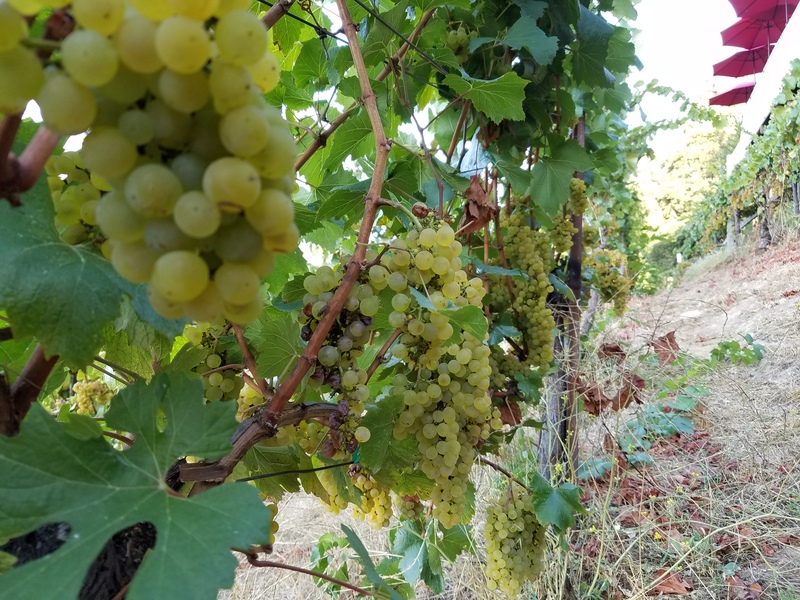 The intense heat over Labor Day made the grapes ripen a tad bit early and probably reduced yields by about 10%, but overall, it seems that 2017 will be another good year for Santa Cruz Mountains wine!